Enter the world of the U.S. 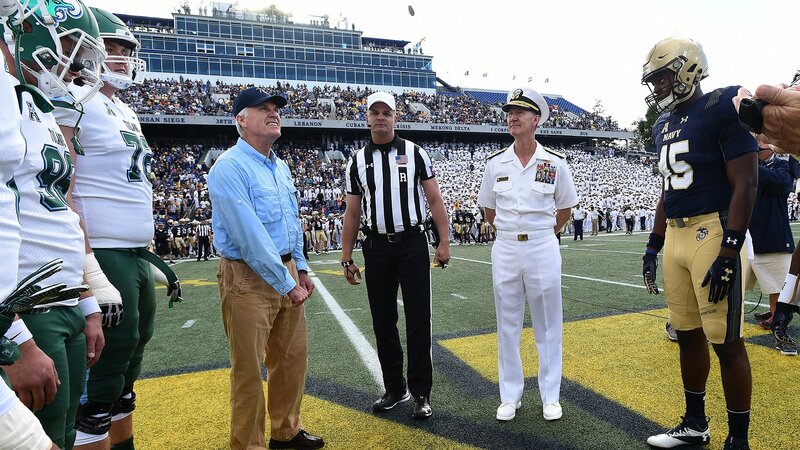 Naval Academy, where student-athletes must not only balance the rigorous demands of an elite academic instituion with top-tier collegiate football, but must also preapre themselves for naval service. Members of the USNA Midshipmen football team endure aim for Division One glory. The Midshipmen take on the Cincinnati Bearcats. The Midshipmen take on academy take on rival academy USAF and the Falcons in Annapolis. Navy host the University of Memphis Tigers. The Midshipmentackle the black and gold Knights of UCF. The Midshipmen take on Temple's Owls in Philadelphia. The Midshipmen host longtime SMU rivals, the Mustangs. The Midshipmen face off at U of H against the Cougars.